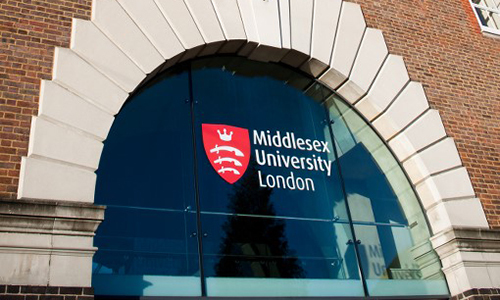 Middlesex University is the most improved university in London and fourth nationally, after climbing 19 places in the latest Times and Sunday Times university league tables. The league tables published in The Times and The Sunday Times Good University Guide 2015 shows Middlesex now ranked 75th nationally. Following the climb, Middlesex is now listed as the second top modern university in London. The Times and The Sunday Times Good University Guide 2015 ranks universities on a number of criteria including student satisfaction, research quality, entry standards, student-staff ratio, spend on facilities and graduate prospects. The results reflect the investment Middlesex has made over recent years to enhance the overall reputation and standing of the institution. Middlesex has focused on enhancing the student experience, putting resources into facilities and making a significant investment in academic staff and academic support to create a teaching and learning environment conducive to excellence. Middlesex has the second highest facilities spend per student in London, behind only Imperial College London and ranked third nationally. As a result, Middlesex is attracting better qualified students, who are more satisfied and more employable, and are achieving higher quality degrees. Middlesex is performing exceptionally well in some subject areas and is the top modern university in London for Computer Science, Music, Psychology and is top amongst all London universities for Social Work. Success has been commonplace for Middlesex recently. In July, the Guardian put Middlesex up 17 places in its university league table, the National Student Survey showed 85% satisfaction rate for Middlesex courses, and a 5% rise in graduate employment in the most recent Destinations of Leavers from Higher Education survey. Middlesex University Vice-Chancellor Professor Michael Driscoll said: "The improvement of 19 places in the Sunday Times University league table to 75th will make a substantial contribution to the growing reputation of Middlesex. This welcome result will reinforce the belief that Middlesex is capable of establishing a place among the top universities in the UK and around the world. "The forthcoming REF results provide Middlesex with a further opportunity to boost its reputation and deliver on its ambition to move the University towards the top 50 in the UK and the top 300 in the world. "I would like to congratulate all students and staff at the University. It is your collective talent and hard work that has enabled us to advance our new strategic direction so quickly. I wish you every success for the new academic year."